By purifying and activating your chakras you can unlock the emotional vibrations of asana. Would you like more Happiness in your life? Would you like your practice to not only be connected to the physical body, the mind, and your breath, but to also transform you emotionally? Through working directly with the chakras and then connecting with the Bhavas (the body’s emotional response to asana) you can grow, evolve and transform. My name is Premaloka and I have been knocking around the yoga scene since childhood. Practicing, observing, listening, and pondering Yoga, and trying to unravel what it means to me. What I have learnt along the way has been at times, profound, challenging, confusing and enlightening. I have spent many years on the mat experimenting with different styles. I have had my share of rushed Sadhanas, there just to tick the box. I have rushed off the mat to feed babies or attend to children and only realised afterwards that although the physical benefits of Asana remained, I had not touched my emotional self. After many years I knew that the time had come to deepen my practice. I know that happiness lies within each and every one of us. It starts with a deep love and compassion for ourselves, and Yoga can help us discover this love. I have observed for many years, as I have studied and practiced, that yogis work steadfastly on a path toward enlightenment. I too look for enlightenment, but I know that what I need the most is happiness. I use the mat as my tool, I fill my heart space with gratitude, and I know that happiness will follow. On this path toward enlightenment and happiness I have had glimpses of the state of being felt when the Kundalini Shakti (the energy of consciousness) rises, but then the mind and ego return, the energy descends and my work continues. This has lead me to spend more time on the preparatory practices so that I am emotionally and mentally prepared for Kundalini Awakening. What I have learnt is that we must look to our hearts, for Anahata Chakra is where purity of emotion resides. To awaken this chakra we need to be emotionally ready. We need to be able to maintain states of optimism and harmony, inner peace and kind thoughts towards others. Of course, this can be difficult to attain due to what is stored emotionally in our lower chakras – our ego-based emotion and our samskaras. Samskaras are the impressions or experiences embedded in our unconscious mind, from this life and past lives. If we work on releasing and balancing these lower chakras, we will find it easier to activate and even awaken Anahata and our heart will be open. We WILL find ourselves filled with happiness, and with love and kindness toward ourselves and others. The way that we feel on an emotional level is linked to the chakra system. Each Chakra relates to different emotional states, and balancing and activating these chakras will impact our sense of wellbeing. Muladhara (root) is about our evolution, building our personality, grounding and survival. When it is in balance, we feel secure, strong, safe, and we trust. When it is out of balance we feel angry, insecure, and worried about money, food and shelter. Swadhistana (sacral) is about our sexuality, creativity and pure emotion. It balances free giving and receiving of feelings and emotions. When it is in balance we are brave and passionate, energetic, creative, open, kind and happy. When it is out of balance we can be unsure in relationships, feel vulnerable or fearful, and experience guilt or anxiety. This is the home of addiction – pleasure out of balance. With this knowledge it would seem vital that we keep our Chakra system in balance. I often talk to my students about how we come to the mat to shift the stagnant energy that pools at our lower chakras: Muladhara and Swadhistana. Through asana and direct concentration on each chakra we can encourage this energy to rise in the hope that with steady practise it will begin to awaken these chakras, not merely activate them. While studying this ancient science of Yoga, I have attempted to create a fusion practice for myself and my students that encompasses all our needs – physical, spiritual, emotional, and mental. I invite you on a journey to purify and activate your chakras, to travel deep within yourself and connect to the emotional vibration that asana unlocks. I invite you to explore the emotional ease, joy, gratitude and happiness that a session on the mat can bring. Or the openness, optimism, confidence, strength or passion that another session will create. We go deep within our physical and non-physical selves, whether we are flowing or holding. We investigate how the energy the yoga posture is awakening in us manifests in emotion. We do this by asking ourselves, how am I feeling at this exact moment? Am I feeling happy? Calm? Grounded? Grateful? Tender or compassionate? Vulnerable? Or something else? We are only looking for the emotion in this specific moment –not the other mind baggage we might have carried on to the mat. The mind may want to tell us that we are feeling, angry or sad or resentful because that is how we started our practice. If this happens we simply tell ourselves that we are letting go of these emotions. We are replacing anger with peace, sadness with happiness, or resentment with gratitude. But don’t forget to tell yourself that this is what you are doing. If the negative emotions continue bring a half smile to the lips and again let go, again and again. In this way, each time we step on to the mat for our practise we can take a deeply personal journey into ourselves. We can arrive on our mats to release, refill, replenish. Sit in a comfortable asana for Pranayama. Close the eyes, and lengthen and straighten the spine. Engage the navel by drawing it back slightly to help keep your physical body steady and to release the mind. Take a moment with your effortless, natural breath. After a period of time engage Ujjayi breath. By restricting the glottis, the sides of the throat will feel thickened and your breath will become audible within the Chiddakasha (mind space). Feel the breath entering and leaving the body at the pit of the throat. Come to the space on the inside of the forehead and see, visualise or imagine that there is a string of coloured lights hanging within this space. From the top, the colours are white, silver, mauve, blue, yellow, orange and red. Simply focus all your attention on the lights. If you find it difficult to see them, know without uncertainty that they are there. After some time see the string of lights starting from just in and below your tailbone, strung along your spine and ending just above the crown of your head. Visualise this and continue with Ujjayi breath. Let the breath flow up and down the string for a few minutes (5-10) longer. Then dissolve the visualisation and return to your spontaneous breath. As you effortlessly breathe return your awareness gradually to your physical body. We now activate the Chakras. Sitting in Vajrasana (Thunderbolt Pose) with hands in Chin Mudra (palms up thumb and forefinger joined) or Ananda Madirasana (Intoxicating Bliss Pose). Close the eyes. Then partially reopen them, and gaze steadfastly at the tip of the nose. Keep the gaze fixed on the nose, and bring your awareness and concentration to Ajna Chakra (top of the spine in between the ears). Remain completely focused here for a few minutes (up to ten if time allows). Now move to the tailbone and travel in and down approximately two inches. Here sits Muladhara Chakra, the abode of Kundalini. Continue to gaze at the tip of the nose and transfer your complete focus and concentration here, for as many minutes as time allows. If at any time the eyes tire or become sore simply close and rest them, continuing to gaze inwardly at the nose tip. Continue with this practice moving up the spine to Swadhistana (tailbone), Manipura (behind the navel), Anahata (behind the sternum), Vishuddhi (behind the pit of the throat), back to Ajna and lastly to Sahasrara (just above the crown of the head. When finished close the eyes and focus on the eyebrow centre (Bhrumadhya). Come to rest in Childs pose after several minutes. Now we come to Asana and the body’s emotional response to them. We start with Ajna, we activate this chakra first, then we move to Muladhara, Swadhistana, Manipura. Through a series of Asanas and practises, we encourage Kundalini Shakti to ascend. We then move to Anahata and we remain there through longer more sustained periods. This is a excerpt from a class, that we may do once prepared. As we flow from Vajrasana(Thunderbolt pose) to Shashankasana (child) and the energy starts to rise we feel the urge to release, to let go of any dis-ease that we have brought to the mat today. As we come to the knees, raising the arms and arching then back as we open into Hridayakasha, the heart space, we start to feel the gratitude swell within. Fill this space with gratitude before lowering the hands and body into the extended child. With grace we awaken more deeply this emotion of gratitude and devotion. 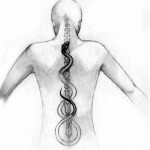 As we strike into Shashank Bujangasana (Striking Cobra) we continue to open the heart. We send the energy up the spine from Muladhara and Swadhistana. We practise Shambavi Mudra (directing the gaze to the eyebrow centre) and as we open up through the chest we direct the emotion of love to Anahata. The gratitude deepens, and joy starts manifesting. This is made possible by the activation of the chakras and your intent. As we then settle into holding Bhujangasana and the Mudra we work on transcending the mind and ego, as well as activating the intuitive aspect of ourselves. This is made possible by the chakra activation and Shambavi Mudra. We open the heart to receive with our mental concentration still at Anahata. Then we rest in Shashankasana and focus on Ajna, letting the energy sit at this higher level. Moving back up into Parvartasana (Mountain) we reconnect with feeling grounded. I then instruct students to bring their awareness to the activation of Swadhistana and the release of negativity at Vishuddhi. We move into Santolasana (plank) and acceptance comes. With this comes the powerful emotions of resilience and courage and we know we are equipped for the journey. Resting in Matsya Kridasana (Flapping Fish Pose), we feel a deep sense of inner peace, often tinged with anticipation and excitement for life. Back once again in Shashankasana (child) we look within to gratitude before flowing through Ardha Ushtrasana (a form of the camel pose) where the feelings deepen, the heart opens and joy is abundant. There is too much to keep within so we send it out universally, before coming to rest and feeling a deep love for ourselves. We are full once again – replete – and with this comes a deep sense of contentment. This is a small example of how we can use visualisation and intent on the mat to deepen our practice beyond the physical, breath and mind, and into the emotional sphere through the bhavas. It is how we can manifest joy in our lives through our practice, and ensure our journey is a happy one. Happiness is the key – unlock the heart and your life will be filled with joy and ease. Your heart will sing. A grateful heart is always a happy heart. So next time you are on the mat, breathe in gratitude, and breathe out happiness. You will have more than enough to share. 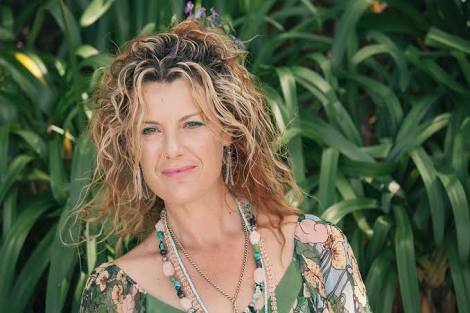 I am a Yogini and Mother of Six living on the Beautiful Island of Waiheke, Auckland , New Zealand. I am Passionate about Yoga and passionate about Happiness. We all need both. I love to share with others this amazing science , and work everyday on spreading the word that Yoga is about so much more than the Physical. I have created a Fusion that I hope is emotionally, spiritually, physically and mentally fulfilling. I have studied the many different aspects of Yoga, the exoteric and the esoteric including, Asana, Pranayama, Meditation, Yoga Nidra, Yoga Philosophy and Pregnancy Yoga. 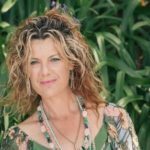 I have been teaching for many years now, several of these on Waiheke Island, and hold a E-RYT 500 hr Yoga alliance registration. Find out more about my yoga classes here. Thank you for sharing this. It’s a big inspiration for me in my own practice.